Welcome to the all-new home of the Two Gomers! The Season 2 teaser is coming the last week of August, then our first Marathon episode in early September! 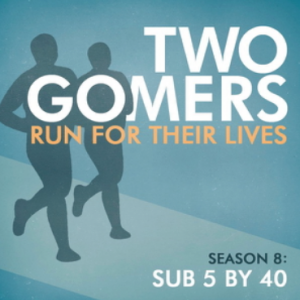 I just discovered your podcast about 1 month ago, and I am training for my first half-marathon in November. I am almost caught up with season 1, and I am looking forward to experiencing season 2 “live.” You can count me as one of your few male fans.